On January 16, joint unit of the Strategic Missile Forces and Aerospace Forces launched the Topol-M silo-based intercontinental ballistic missile. The warhead of the missile has engaged the conditional target located at the Kamchatka range. Check of flight tactic characteristics of the intercontinental ballistic missile was the goal of the launch. MOSCOW, September 9 /TASS/. A Topol intercontinental ballistic missile has been successfully test-fired from Russia’s Plesetsk launch site, the Russian Defense Ministry said Friday. 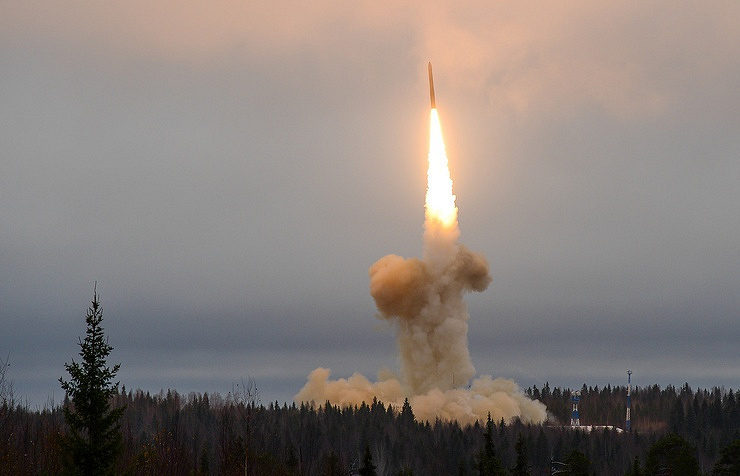 The ministry said that a Topol intercontinental ballistic missile was test-launched from the Plesetsk state experimental spaceport at the final stage of the command and staff exercises of the Russian Strategic Missile Troops (RVSN). “The main aim of the launch is to confirm the basic flight and technical characteristics of the Topol intercontinental ballistic missile and test an advanced combat outfit and means of overcoming missile defense systems,” the ministry’s department of information and mass communications said in a statement. “The missile’s experimental warhead hit a hypothetical target with high precision at a testing ground on Kamchatka peninsula,” the Russian Defense Ministry said. The results of the launch will be used for raising the efficiency of an advanced group of Russian ballistic missiles, the Russian Defense Ministry said. MOSCOW, November 17. /TASS/. Russia’s strategic missile force has successfully tested an inter-continental ballistic missile Topol with an advanced warhead, the Defense Ministry’s strategic missile force spokesman Colonel Igor Yegorov has said. “At 15:12 Moscow time the strategic missile force test-launched an inter-continental ballistic missile RS-12M Topol from the Kapustin Yar test site in the Astrakhan Region,” Yegorov said. According to the official, the purpose of the launch was to test an advanced warhead of the inter-continental ballistic missile. “The missile’s dummy warhead hit a hypothetical target at the Sary-Shagan proving ground, in neighboring Kazakhstan. The accuracy was within the expected parameters,” he said. This is not the first launch of the Topol missile this year. At the end of August an RS-12M missile was launched from Kapustin Yar for the same purpose of testing a new warhead. 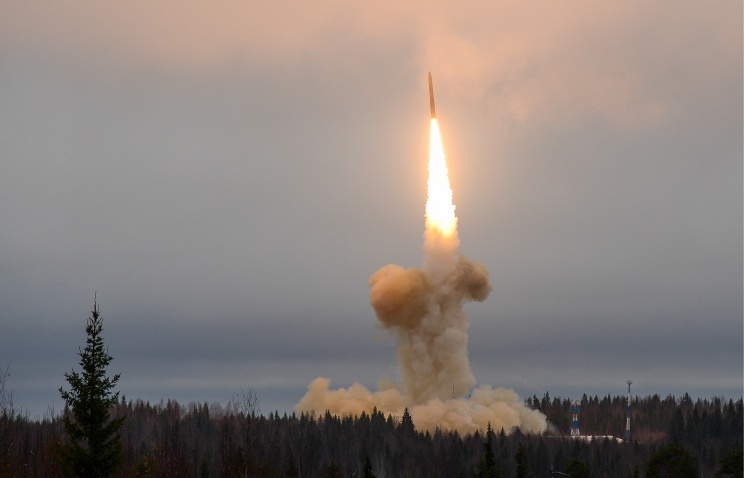 And at the end of September a Topol missile was launched from Russia’s northern test site Plesetsk during a routine testing of the Armed Forces’ control system.